UPDATE 08/25/15: Lab results for the pit bull that violently attacked its owners, killing one, came back negative for rabies. 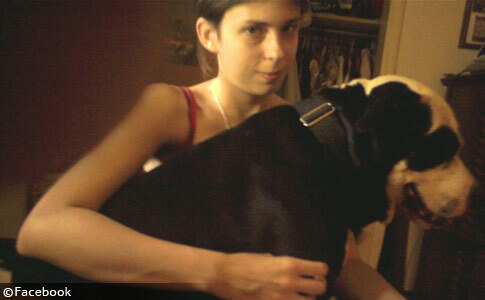 The male unaltered pit bull named "Spike" had been with the family for over a decade when it "snapped" Saturday killing Nicole Cartee, 25-years old, and seriously injuring her mother. Jamie Nelson, the director of Spartanburg County Environmental Enforcement told WLOS that the vicious attack was "horrific" and "there was a large amount of blood." Nelson said that Nicole's mother actually owned the dog and that her most recent injuries from Spike did require surgery. Nelson said that no criminal citations would be issued to the mother. 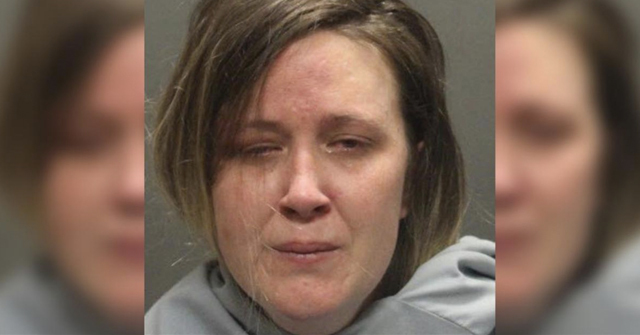 The family pit bull had previously attacked the mother requiring hospitalization, but the incident was not reported to authorities, according to Patrick Powell, who had been Nicole's boyfriend for many years. Patrick said the two had recently separated, but were planning on reuniting. Patrick said that Spike's aggression had been an issue for a long time. He had urged the family to do something about the dog "before it kills somebody." Patrick disagreed with Nicole and her family about the dog. "Nicole loved that dog. Nicole treated that dog as if it was her baby," Patrick said. "Me and Nicole bumped heads with that dog. Me and her family bumped heads with that dog. I said for years that dog is aggressive. That dog has got to be done with," Patrick said. Despite what Nelson told WLOS about Nicole's mother -- "This is a tragedy, where the mother has lost a daughter and the mother herself has gone through a horrific experience" -- every ounce of this fatal dog attack was preventable. 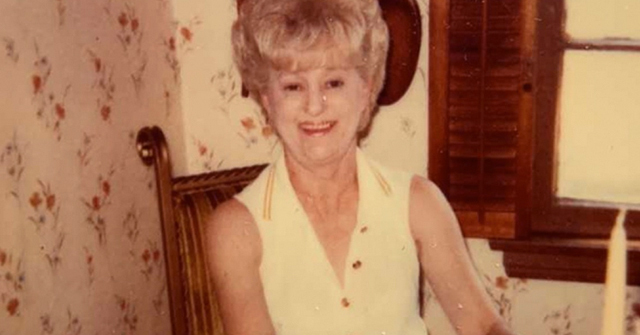 A young woman lost her life to a known aggressive pit bull that had previously attacked her mother and whose boyfriend, and his mother Beverly Powell, had warned her family about for some time. There is no bringing Nicole Cartee back. Death is final. Lastly, a new Spartanburg Herald Journal article clarifies the previous attack on Nicole's mother. After checking records, authorities found no evidence of prior attacks by the family pit bull at the victim's home or her prior residences. Patrick, however, said that Spike attacked Nicole's mother a few months ago. Her injuries required stitches, but she never reported to anyone that the injuries came from her own dog. Instead, she told hospital staff it was from an "unknown stray dog." New information has been released about a 25-year old woman who was viciously attacked and killed by her pit bull in Spartanburg. The male unaltered pit bull named "Spike" had been with the family for over a decade. The family had raised the dog since it was a puppy. 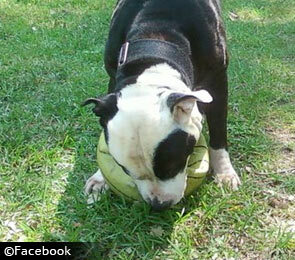 On Saturday, the family pit bull "snapped" and began attacking Nicole's mother. When Nicole tried to rescue her mother, the dog turned on her, killing her. The pit bull tore into her head, neck and body. Beverly Powell, Patrick's mother, told the Spartanburg Herald Journal that she warned the family to get rid of the pit bull after it attacked Nicole's mother the first time. This issue is very important to Beverly, as she was once attacked by a different pit bull in her own yard. Beverly managed to escape that pit bull without permanent injuries. "The sadness is that I told Nicole's mother, 'What is it going to take for you to get rid of this dog?' And now it's killed her daughter," Beverly said. Spartanburg County, SC - The Spartanburg County Coroner's Office was called to the scene of a dog attack Saturday evening. The animal attacked three people, according to Jamie Nelson, the director of Spartanburg County Environmental Enforcement. Porsche Nicole Cartee, 25-years old, was pronounced dead at the scene by Spartanburg County Coroner Rusty Clevenger. A physical examination will need to be conducted to determine the cause of death, Clevenger said. Clevenger identified the attacking dog as a pit bull and said the other two people injured in the attack were family members. The fatal dog attack took place at a home on Beverly Hills Drive, a block descriptor was not provided. 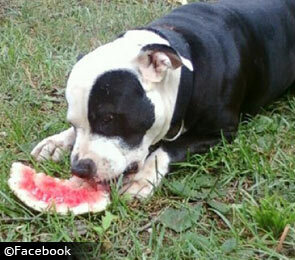 Nelson told Fox Carolina that the pit bull has already been euthanized and is scheduled for rabies testing Monday. The last South Carolina fatal dog attack occurred in June 2013, the pit bull mauling death of Arianna Merrbach, 5, in Florence County. Porsche Nicole Cartee is the 467th person killed by a pit bull, according to Fatal Pit Bull Attacks - The Archival Record. DogsBite.org launched that website in 2011. Through a multitude of modern news reports, several medical studies and archive collections, including the Library of Congress, we have discovered 467 individuals killed by these dogs since 1833. Cartee is the 275th fatal pit bull attack victim since the CDC stopped collecting a rich data set for these victims in 1998. Since January 1, 2015, canines have attacked and killed 20 people in this country. 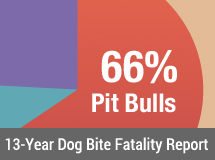 Pit bulls contributed to 85% (17) of these deaths. Rottweilers, the second most lethal dog breed in the U.S., contributed to 10% (2). In the fatal dog mauling deaths of Neta Lee Adams, 81-years old (Washington, Georgia) and Gaege Ramirez, 7-years old (Canyon Lake, Texas) no dog breeds were ever identified by authorities, but certainly pit bulls were rumored to be involved in both. 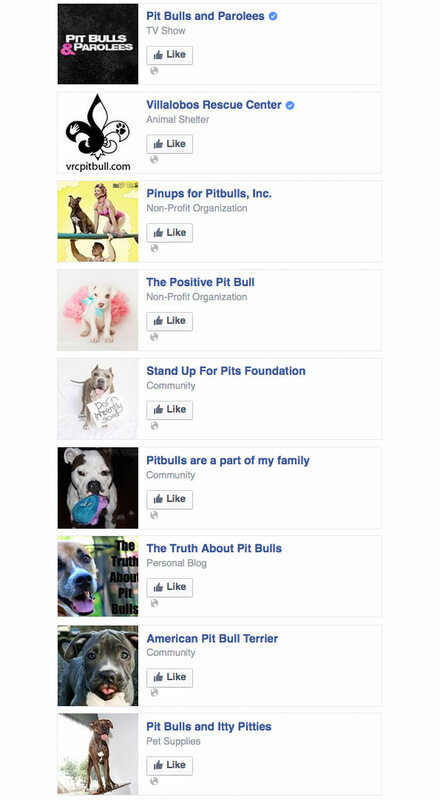 Some of the victim's Facebook Likes below, including Pit Bulls and Parolees (Tia Torres) and Pinups for Pit Bulls. The latter group recently spoke at a June 19 forum -- Asheville Humane Society's "Project Pit Bull" campaign -- and tried to sell to local homeowners, landlords, neighbors and "even the pit bull wary" that BSL does not keep people safe and that pit bulls are wonderful pets. Less than 3-weeks later, a little boy is killed by a pit bull rehomed by Asheville Humane. 1Pit bull owners will indeed lie to authorities after being attacked by their own dog. Usually, they make up a story about being attacked by a "stray" or a dog that ran away. Even after a first violent attack by their pit bull, they remain in denial that this "can happen to me" (again) or "can happen to another family member." Tia Torres should devote a whole season to this dangerous, pathological denial. The series should be titled, "Yes, this can happen to me." Not a good year for pit bulls. Even worse year for the victims! Another tragic example of a pampered beloved pit bull turning on its human family. One never knows when that 'Switch' will flip. I urge family and friends to seek solace from the fabulous victims' support groups associated with DogsBite.org. They are there for you in times of need. My heartfelt condolences to the survivors. RIP Nicole. Indeed, not a good year for pit bulls. The more popular pit bulls become, the more people will die. I want to live in a community with BSL. Do you?? I absolutely want to live in a community with BSL. And vacation in a community with BSL. No more Asheville NC for me, for example, even though I love the area. Another preventable death by pit bull. My heart truly aches for the family of this victim. The blame is on every site she "liked" above whose inaccurate information spreads lies, hides the truth, and allows/encourages these deaths by placing these animals in family homes. The FACT is, these dogs are bred for the purpose of killing and bringing them in homes is playing Russian Roulette with any person it encounters. NOT worth the risk. I pray her death brings awareness to others who like her who are consistently lied to by these "professionals". So saddened. These monsters are a damn menace. I'm glad I live in an area where there aren't that many of these beasts, but my college is located in a city where I see them rather frequently. We seriously need BSL. I want to live in, visit, go to college, vacation, DO EVERYTHING in communities with BSL. BSL WORLDWIDE! The wealthy and selfish market and peddle these breeds to an unsuspecting public that is victimized by consumer fraud and deception. 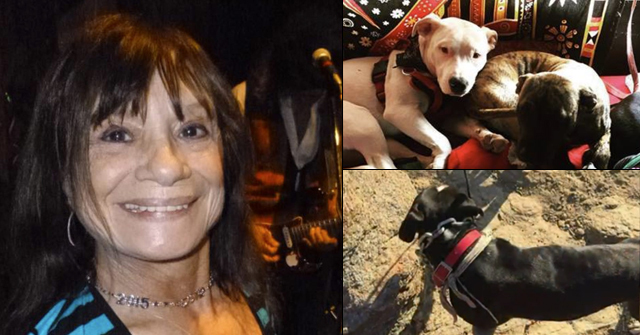 "The Truth About Pit Bulls" was one of her liked FB pages…tragically, she learned the truth at the last moments of her life. So many people ensconce themselves in the pro-pit bull echo chamber through social media, they often never get the other side. They never hear about the victims, only constant raging about "haters" who "misunderstand" their dogs. It is very, very easy to completely shield yourself from the victims' side of the story. The problem with pit bull owners and pit bull /gripper dog mongers is that they think that these dogs need to be angry, mean, or frightened to attack and then not stop. That's true with most non bully, non gripper dogs, but not with these tragic mutants, not with these dogs created first and foremost for their drive to grip and crush and not stop. There are many cases where pits were friendly, calm, happy, then suddenly attacked but immediately afterwards looked confused or returned to being kissy faced wiggle butts. The dog's attitude was, "Oops, what happened here?" All dogs can bite, but most normal dogs then release and they need a reason to bite. Good pits lock on, the reason is instinct. As the dog fighters say, " a good pit will only release his grasp to gain a better hold.' (or if the flesh is torn off the victim). If the bully people were honest, educated and caring, they would tell the public that good pits do have locking jaws, intentionally created by dog fighters. They would explain that dog fighters also invented the "break stick" with which to pry open the pit's locked jaws to free the victim. Experienced dog fighters can quickly open a pit's jaws with a break stick but the average people would need much practice. If the bully people were honest, educated and caring, they would tell the public that pain will not stop a "good" pit bull so in situations like this fatal attack, you must either stop the pits ability to breathe with slitting its throat with a knife or choking it unconscious. Stabbing or shooting the pit's head won't work as pits have tiny tiny brains surrounded by thick skulls and thick muscles. Stabbing or shooting the pit's body may not work as a good "dead game" pit won't stop until he bleeds out or drowns on his own blood and this may take too long. Some pit websites state that pits must always wear thin collars, so that pulling up on the collar will choke off the pit's ability to breathe. The honest pit bull books from before the 1980s explain that a good pit can read its opponents weaknesses and use them to its advantage. That's why some attacks happened when the victim tripped and fell, and the pit's instinct saw it as an opportunity. Hmm, I'm thinking collars made of zip tie material with ez grip handles on the end, so all you have to do is grab and yank it the handle and wahla! air supply cut off! Seriously, the owner of this dog will not face charges. How does that make sense? Say, instead of a pit bull, she owned a large tree standing in her front yard. One day, one branch fell off and hit her in the head, resulting in her going to the hospital. When she returned home, multiple people warned her that other branches were in danger of falling off, but she did nothing about the tree. Then one day, a branch fell off and killed someone. There's no way charges wouldn't be filed in a case like that. I'm sorry her daughter died. I'm sorry for the grief she must be suffering, and her daughter's boyfriend and mother must be suffering, but to end this blood bath we must at MINIMUM PUNISH IRRESPONSIBLE DOG OWNERS and set some examples. I have, unfortunately, witnessed several pit attacks on farm animals. Those dogs were the happiest dogs in the world while they were terrorizing my cows. Tearing flesh, ripping ears and mouths, hanging on until a 1000 pound cow went to her knees. These dogs were not angry, nor did they feel threatened. They were gleefully enjoying the rightness of having their breeding "click" into place.